Home Eat Well Your ‘Gluten-Free’ Guide! You may find yourself sometimes complaining of how bloated you have suddenly become when you eat certain foods. How is this linked to Celiac Disease? 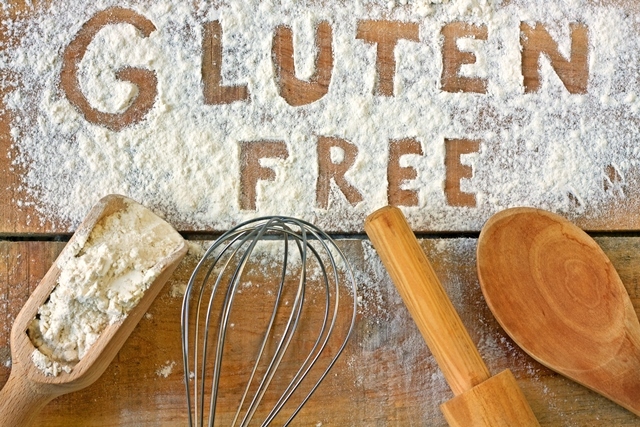 What is “Gluten Free” and how can I follow such a lifestyle? Are there gluten free products in Egypt? These questions have probably crossed your mind and we have created a guide just for you! Of course you may find this bizarre but gluten is actually a type of protein that is not found in meats, or eggs. Instead, it is found in wheat, rye, and barely. These are types of grains that we regularly use to make bread and pasta. Some people have gluten allergies or Celiac Disease, which can irritate and cause damage to your intestine. Symptoms include being bloated, constipated, diarrhea, abdominal pain, migraines, iron deficiency, weight gain or weight loss, etc. Some people can have non-celiac gluten sensitivity and they may benefit from a gluten free diet because this doesn’t necessarily mean that they have the allergy gene. On the other hand, if you have Celiac Disease, you cannot eat gluten at all. What Does a Gluten Free Diet Consist Of? However, be careful of the sneaky gluten. There are some products that you might think contain absolutely no gluten, but think again. Things that we regularly use such as artificial coffee creamer, salad dressings, ketchup, mayonnaise, soy sauce, hot dogs, candy, chewing gum, cold cuts, and flavored tea. Gluten is added to these foods because it serves as filler and binding agent to these processed foods. So, How Can You Benefit From a Gluten Free Lifestyle/Diet? When you try going Gluten Free, your body will thank definitely thank you. This does not necessarily mean you will lose weight. Eliminating gluten means that you will not eat unhealthy oils, and unhealthy carbohydrates that are found in white bread and other foods. You reduce your risk of heart disease, certain cancers, and diabetes. You will also benefit from an improved immune system defense. Therefore, if you feel that you usually complain from the basic symptoms of celiac disease, you should get tested first and try living gluten free because this might improve or reduce the symptoms. Where can I find Gluten Free products in Egypt? For more information on gluten sensitivity and Celiac disease, you should definitely check out the Facebook pages mentioned above and visit the Celiac Disease Foundation website. Next articleBB, CC and Foundation, When to use what?! First of all I appreciate your work done , and I also congreatulate my self to exiset your site in Egypt’ which provide me good knowlage about glutten free science .and I need to add information to your data ,,many persons can digist it slowlley,,what is the measurment of gluten or which the procediour we can be know this value?? ?